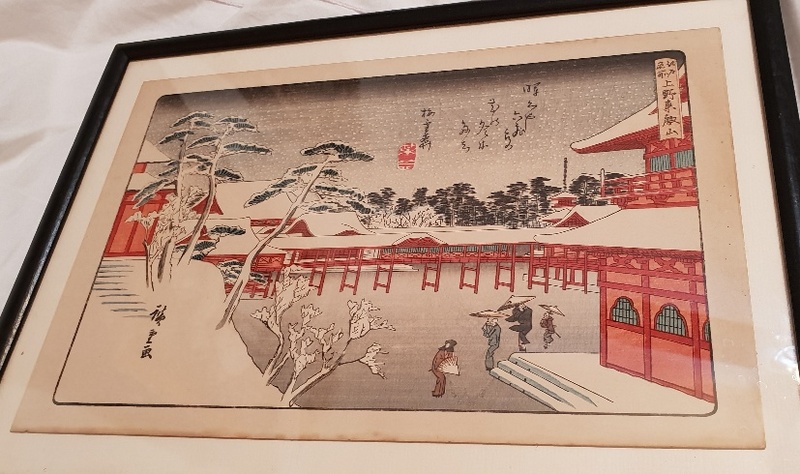 Artist name and translation? Thank you in advance. 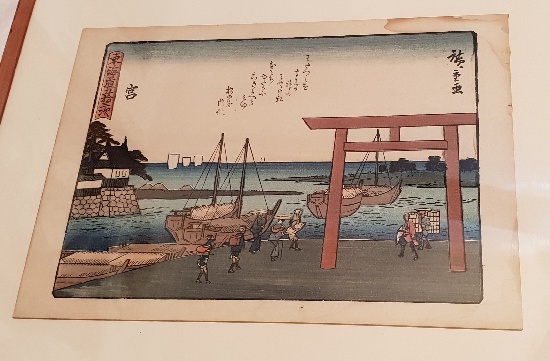 These appear to be repros of Hiroshige prints. The odd angles the pictures were taken at makes comparison difficult. 1) Tôeizan Temple at Ueno (Ueno Tôeizan), from the series Famous Places in Edo (Edo meisho). See link below for an original at the Boston MFA and more details. 2) Miya, from the series Fifty-three Stations of the Tôkaidô Road (Tôkaidô gojûsan tsugi), also known as the Kyôka Tôkaidô. See link below for an original at the Boston MFA and more details.